Simplexity Venture Studio Fund is a co-founding venture studio that helps entrepreneurs with a combination of capital, and deep strategic and tactical expertise. We are co-founding capitalists not traditional venture capitalists. We invest money; but we also invest enormous amounts of time -- more as fractional co-founders, than normal investors. We don’t want to be the CEO; instead we want to make our CEOs better and we are designed to amicably move on when our companies reach maturity. We prefer industries where we have hard-won experience and where we have key relationships that can change our portfolio companies’ worlds. We happen to love fintech, enterprise SaaS and healthtech. Our fund purchases equity and we earn equity. Our purpose is to powerfully help our entrepreneurs to found, launch, and achieve traction or to help companies go from bootstrapped success to venture scale. We don’t collect management fees from our LPs; your company needs to win for us to win. We are very discriminating on the company we keep. You are an authentic, promising entrepreneur with a big idea that addresses a big market. You are passionate, have domain expertise, and you are coachable. We’ve found brilliant executive talent; we’ve helped build great products; we’ve landed channel partners; we’ve found first customers; we’ve brought on amazing co-investors; and we’ve helped our entrepreneurs to powerfully tell their stories. You have proven product market fit. You’ve bootstrapped or have been remarkably capital efficient. Now you want to GO BIG, to raise venture and scale. We’ve renegotiated capital tables; we’ve formed new strategic plans; we’ve helped to fill out management teams; we’ve helped our entrepreneurs to powerfully tell their stories, and we’ve connected them to world-class venture investors. Clifford Boro is a General Partner of Simplexity Venture Studio Fund. Prior to Simplexity, Cliff was the Managing Partner and Co-Founder of the Team Group, Co-Founder and CEO of Zui.com (sold to Saban Capital), Co-Founder of CVT Ventures, Chairman and CEO of Infogate (sold to AOL Time Warner). Cliff currently serves as the Chairman of 1AppWorks. Cliff is a very-experienced venture-backed CEO, Founder, investor and entrepreneurial catalyst. He has helped over a dozen companies from founding to exit, including serving as the Founding Chairman of Say Media and mSnap. For his work at Zui.com, Cliff was named a Champion of Change by the White House. Cliff began his career working in the hedge fund industry and worked at both Steinhardt Partners and Soros Fund Management. In his free time, Cliff loves to spend time sailing and boating and performing amateur improvisational comedy. Cliff serves as a Board member of the San Diego Performing Arts League and as a Board Member of Temple Beth El in La Jolla. Tom Broadhead is a General Partner of Simplexity Venture Studio Fund. Tom has over 25 years of finance, operations, startup, and investment experience. Prior to Simplexity, Tom was the Managing Partner and Co-Founder of the Team Group, Co-Founder and COO/CFO of Zui.com (sold to Saban Capital), Co-Founder of CVT Ventures, and CFO/COO for Infogate (sold to AOL Time Warner. 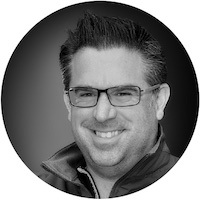 Tom is a very-experienced venture-backed CFO/COO and has served that capacity for many portfolio companies including 1Appworks, 6Sense, Chatmeter, Dealstruck, LoanHero, Say Media, mSnap, Kennedy Western, and Luxology. Tom began his career at E&Y and has held numerous senior finance positions at both public and private companies. In his free time, Tom loves to spend time with his wife and three kids, enjoys mountain biking and running, can often be found at the gym, and has been known to cheer wildly for the San Diego Chargers and Los Angeles Kings. Frederick is a General Partner of Simplexity Venture Studio Fund and a co-founder of Simplexity Services. He started his entrepreneurial journey in the financial systems and IT field that resulted in the IPO of his company on the Johannesburg Stock Exchange. During this time, the company was recognized as the third fasted growing company in South Africa. As CEO he was actively involved in the acquisitions and growth of the group and was constantly involved in the strategy to unlock potential of these companies. In the years following the IPO Frederick also founded numerous companies and was actively involved the formation and operation of the Superior Aviation Group. In the last few years Frederick was exclusively involved in the fintech space. This development included financial ERP solutions, financial collection, and mobile banking platforms. The focus was on scaling and process automation for these fintech solutions, a skill well applied in his role as CEO of Simplexity Services. Frederick completed his degree in Computer Science at the North West University (South Africa). Raymond is a General Partner of Simplexity Venture Studio Fund. He has successfully started and sold numerous technology companies and has a 20-year plus experience in both software development and enterprise system outsourcing. Previously, Mr. Watt served as the Chief Technical Officer of EOH Oracle Services, a group within the largest information technology firm listed on the South African Stock Exchange. He has served on the board of Braingear AG, a medical-device focused biotech company, as well as GRI Bio, a San Diego based pharmaceutical company. Mr. Watt received his B.Sc. in Computer Science from NorthWest University and a MBA in Information Technology from Bond University in Australia. Mr. Watt is an active member of the Coastal San Diego chapter of the Young Presidents Organization (YPO), and currently serves as their Chapter Chair.